We’ve all met the gaze of this pair of narrow, red-pupilled eyes – whether with a torchlight under the bedcovers, or in school, snuck into class beneath a desk. 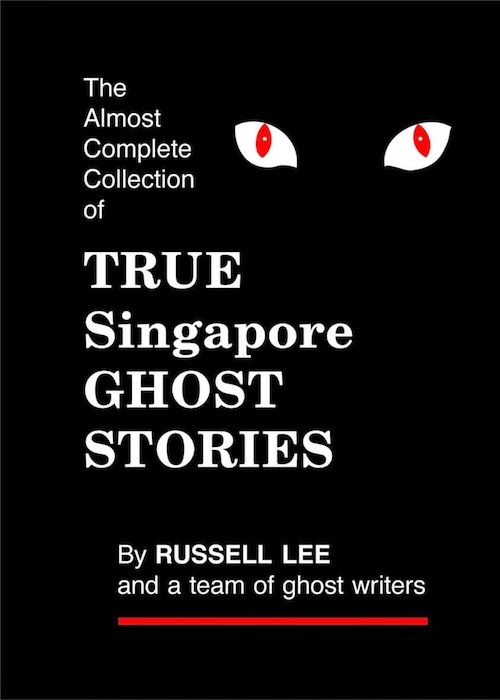 The predatory stare on the cover of Russell Lee’s True Singapore Ghost Stories still follows us from the shelves of bookstores in Singapore – a series that’s given most Singaporeans a frisson of delicious fear with its tales of pontianak stalking their human prey, or the dog tags of fallen World War II soldiers clinking in the night. 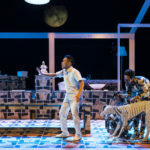 This month, literary non-profit Sing Lit Station and graphic design firm Sarah and Schooling have raised True Singapore Ghost Stories from the dead – so to speak – together with fifteen other Singaporean literary texts that are out of print in some way. Their exhibition, Out of Print, gives sixteen classic Singaporean books a contemporary makeover with redesigned and reinterpreted covers that breathe new life into the texts while respecting the designers, authors and publishers that have made the books so iconic. In the case of the horror bestseller, whose reprints and subeditions continue to creep into bookstores’ top ten lists, the creative team has paid tribute to the specific 1989 edition (The Almost Complete Collection of True Singapore Ghost Stories), which is now out of print. The exhibition opened on 27 February and runs till 19 March 2018 at The Arts House’s Gallery I, and is also part of the upcoming Textures literary weekend from 9 to 11 March. The sixteen selected literary works were published between the 1960s and 1990s. 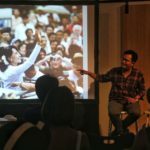 The exhibition’s curator, poet and critic Daryl Lim Wei Jie, says that while the selection “is not intended to be in any way an ‘objective’ list of the most historically significant or meritorious books in Singapore’s literary history”, his curation was guided by several considerations. 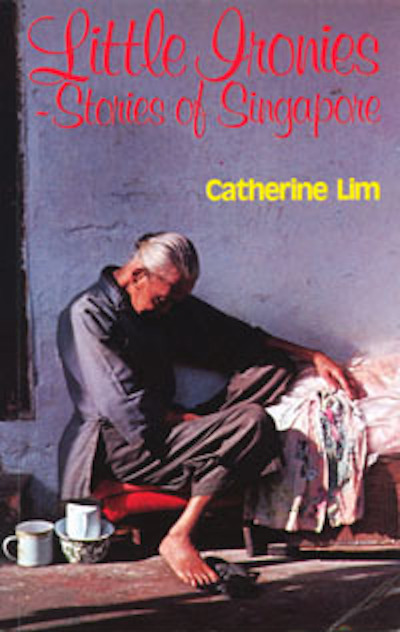 These included: historical significance (such as The Second Tongue, an important anthology of Singaporean poetry; or Peculiar Chris, a particularly visible and significant gay novel), literary merit (A Bad Girl’s Book of Animals, for instance, was the first collection of critically acclaimed poet Wong May), and the text’s role in popular culture and consciousness (e.g. 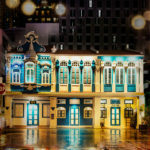 True Singapore Ghost Stories). The exhibition will display these new covers alongside small copies of the original covers pasted on the gallery walls. 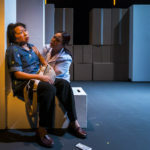 Visitors familiar with Singaporean theatre might recognise Stella Kon’s famous Peranakan monodrama, Emily of Emerald Hill, whose 1989 edition featuring an Emerald Hill mansion on the cover is no longer in print. 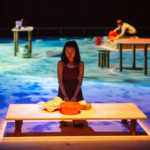 The non-fiction work The Price of Peace: True Accounts of the Japanese Occupation spawned the popular Channel 8 Mandarin drama of the same name, which ran for 32 episodes in 1997. 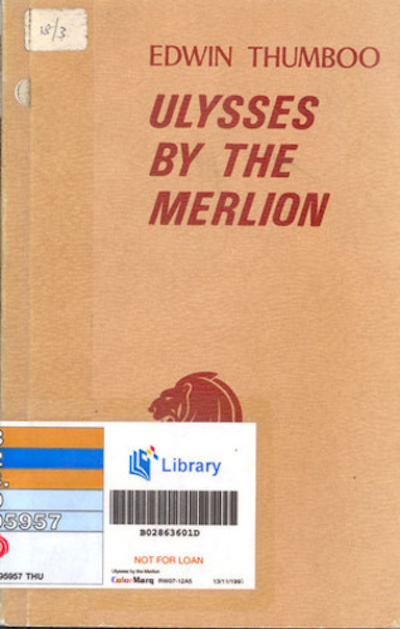 Ulysses by the Merlion proved tricky for the design duo, because the only copy they could find of this specific, out-of-print edition was from the National Library, and a library sticker obscured most of the original merlion. “We couldn’t really figure out which merlion was on the cover, so we just ended up drawing our own,” says Tang. This reinterpreted cover was designed by Benson Chong, the co-founder of design practice SWELL. 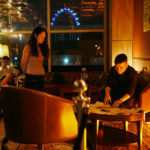 Sarah and Schooling also invited graphic artist Sherwan Rozan and SWELL co-founder Darrick Ma to illustrate the covers for A Bad Girl’s Book of Animals and Claire Tham’s Fascist Rock respectively. As a result, there were a number of printmaking and design techniques involved in creating the exhibition covers, including foil stamping, page edge gilding, and debossing. The letterpress, digital print and other printing effects were done by The Gentlemen’s Press, and risograph printing by Knuckles & Notch. 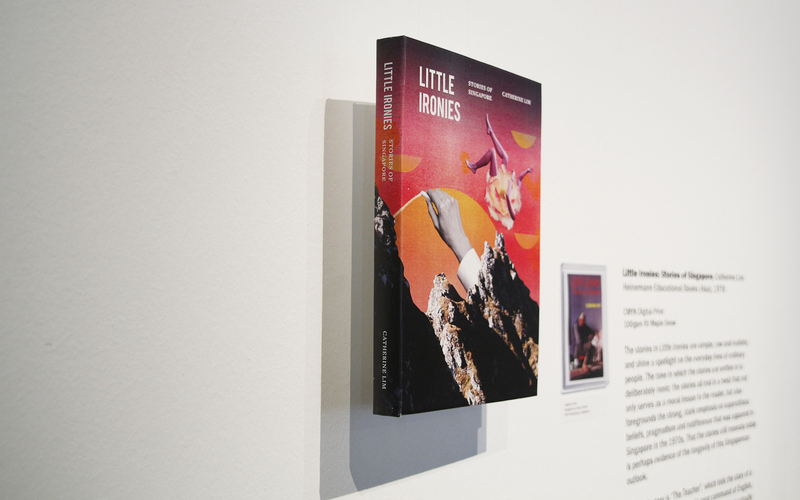 One challenging redesign was the cover of Catherine Lim’s short story collection, Little Ironies. One of the stories features a suicide, which ordinarily would have been more aligned with “dark and dreary” than “something bright”. 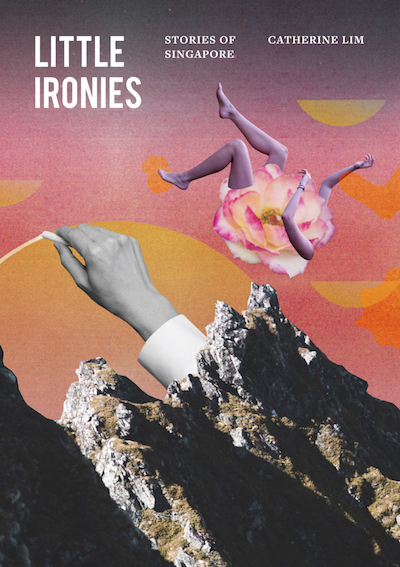 Tang says: “The new cover is supposed to look a little bit ironic. It looks happy and cheerful, but it’s actually really morbid.” She points to the figure of a girl falling on the new cover, against sunset hues of pink, orange and purple that echo the original. Out of Print runs from 27 February to 19 March 2018 at Gallery I, The Arts House, from 10am to 10pm daily. There will be several free exhibition tours. Sarah and Schooling will lead a tour on 9 March (8pm) as part of the Singapore Design Week 2018. There will be tours led by Sing Lit Station on March 10 (2pm and 4pm) and March 11 (2pm and 4pm). 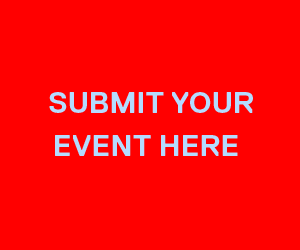 Register for the tours here. 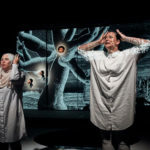 Textures – A Weekend With Words runs from 9 to 11 March at The Arts House. 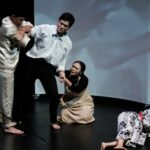 This post is sponsored by The Arts House Ltd. for TEXTURES – A Weekend With Words.